SWAG Saturday: Hurry – Last 25x Gogo pass & tons of other Gogo SWAG today ONLY! Nice right – quite a haul of goodies. And here are the simple rules for today’s drawing. You must have a USPS mailing address to win. You may enter as many times as you wish but each comment below must be unique and you ONLY have today to enter. I will use Random.org to pick the winner after 10PM ET TODAY November 18th. 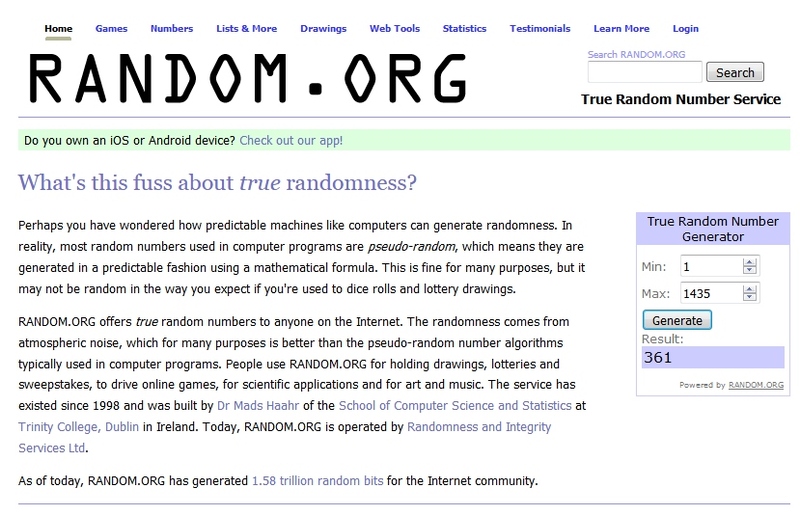 UPDATE: We have our winner from Random.org – no more comments! ← Today marks 6 years for RenésPoints blog – Big changes on the way for 2018! Pick me! Pick me! Pick me! Have a trip next week. These would sure come in handy. Thanks for the contest Rene. Have yet to win anything. Pick me! And just for good measure. May the contest god’s be with me! I would love that swag for my global trotting. Let’s see if I have some luck in DOH on my way to CMB. A Gogo pass for my Delta A350 flight to Narita would be awesome! I think I should win because I have been up since crazy-o-clock..
Good SWAG to end out November! Wowww! Thanks for this oportunity! This is awesome! I hope I win. This would really make traveling easier. Thanks again, Rene, for swag Saturday! And all the great info! Wifi swag. I’ll take it. I love this idea. And i love swag! It’s almost my bday and this would be awesome! Did someone say GoGo?! For thanksgiving?! You are awesome rene! 10 days before my birthday and this would be pretty awesome. Though to be honest, I’m more excited about socks and a beanbag stand than GoGo passes. Blasphemy? Maybe…. Going on a trip, pick me! My son-in-law won your last giveaway so I’m hoping his luck runs in the family! …in transit, HNL to BWI, via a 3 hour layover in MSP. One of these swag items would be wonderful to win! …currently in transit, HNL to BWI via a 3 hour layover in the club at MSP. pick me! whose parents worked at a morgue. I would love to win for my familys upcoming trips. I hope I’ll learn I have won! have never used the Gogo would be great to try for free on my upcoming South East Asia long haul trip. I just saw Gogo management yesterday! Michael has a great team! who prayed to win something at Mass. to win Rene’s Gogo pass. with a GoGo inflight pass. Where did you get all these GoGo passes, anyway, Rene? It’s amazing and your readers appreciate you sharing them. by focusing his blog posts on Delta. Before going to Hawaii, I chatted with GoGo. They told me access was available over water via satellite, but I had to purchase an international access, so instead of the $16 rate for 24 hours, I bought an international 24 hour access for $28. I questioned this, but GoGo assured me Hawaii was treated as international. Outbound, everything worked great. On the return last night/this morning, an hour after T/O, I tried to connect with a domestic fare accessI had bought months ago…for $16. Guess what, it connected immediately and worked the entire transit over water, and all the way to MSP. Anyone else experienced this when flying to/from Hawaii? I love reading this blog! It’s part of my daily ritual of web surfing! All right. Who doesn’t like free stuff. Thanks René. Happy about another swag Saturday. Thank you as always! Happy to write content some content. I have some ideas for daily articles. Millennial Monday’s – a new gen looking at DL. Credit card opinions and spending. Speaker sounds great, I’m Thailand bound and would love the sound. Let’s make it happen. Tuesday’s – biz and family trip comments. Work gets me flying quite a bit. So, I can keep up some of the DL day to day. Family is back and forth from DTW and Mex often. our local airport just got an AM flight to ATL. So finally some better DL connection options to get back to DTW. My wife has some family travel content on her mini blog. She could co-write tracelling with fam. She always has info on baby changing areas by airport and other escapes w kid. Wednesday- actual Rookie Wednesday. My rookie mistakes, questions, or best practices. I’ve been following points and travel blogs for 2 years. I’m definitely still a rookie, but really enjoy travel. Would love the WiFi pass, if nothing else. Just very excited and would love to get more involved. And thanks again for the swag! Hope we keep seeing these! 1. All hail Rene! All hail GoGo! All hail Random.org! Really want the bear for my little guy, if nothing else. Question: did I miss the final post of the A350? Caught your first 3, but maybe I missed the final impressions. Have PS booked in Feb, excited. For the record, I would not regift any of the swag. Check back for more amusing comments. I wanted my (corny) poem to make sense. If I win, can I give the swag to my local homeless shelter (they can always use socks along with things like chargers and toy bears) and keep the pass for me? That’s a lot of swag. With what I am calling the MOAMR (Mother Of All Mileage Runs) coming up in January, this GoGo pass would be put to good use. Can always use and appreciate swag! I still don’t think that GoGo is all that useful, but what the heck, I’ll toss my name in the hat. I do want me some gogo swag. I really really want the gogo pass. That gogo pass would be awesome while heading to EZE. Go go to me! Would love this. Thanks, as always, for the chance! Thanks for hosting this conest and your blog. Always a good read. I could really use these passes. Many upcoming trips to China next year. Nice swag. Would be great to win. As always… Bravo, René, Bravo! I love these contests ! Swag Saturdays by Rene are the best!! ¡Una más para buena suerte! Love the chance at a freebie before my holiday spending. Thanks for the opportunity. May the odds ever be in my favor. I learn so much from your blog. Thank you. Your blogs help my GoGo off the ground! I want the GoGo pass. Come on Random.com, randomly choose me! Yes, I really really want to use the gogo pass. Will this be my lucky comment? I just love to work on a plane. Not! But I still like the passes. And about your blog changes for 2018…Hope you keep some form of Rookie Wednesday. I found them to be both enlightening and/or a reminder of key items. Amazing! Would love that gogo pass! Those socks are amazing. Such great swag from Gogo. Saturday swag day is the best and I’m feeling lucky. 😉 Thanks for the awesome giveaway! I’m feeling lucky. 😉 Thanks for the awesome giveaway! Thanks for keeping us up on all the new Delta information. You are the best for Delta news. save a vacation day by working on the plane. What a way to go.. I could sure use that GoGo pass! Got an upcoming trip from PHX to TLH and will be wanting to use GoGo. I’m feeling totally obnoxious leaving all these comments but I want to win! Always end up working on flights and the pass would really help! Thanks for the great daily tips! It’s all about the swag bag! Swag is the new me. Come come to me gogo. Wow…just noticed the swag included speakers…I gots to win now. This would Gogo great for my upcoming travel plans! My swagger needs some swag. That would be a wonderful birthday gift! i’m going to a go go! How much swag could a swagger man swag if a swagger man could swag swag. I would love to have these goodies! To swag or not to swag, the answer may lie in the number of comments. Have really enjoyed your blog, you have taught me so many things about Delta. Pick me!! Sure do love the Gogo swag. I hope there will be more types (like a discount code) now that the 25x passes are gone. i’ve learned so much from you over the years… you make a lot of people’s lives a bit better!!! Thank you for helping me discover Delta. Wow! Thank you René. Another very generous Saturday! Reminder: It’s Schedule Change Saturday. Check you flights. Many itinerary changes for me today. Take advantage of Delta’s Change Rule. When they say, pardon me but I’ve got 4 C tonight…. Intercede and offer me 10 K and guaranteed first class to take another flight!! That gogo pass would definitely make my work trips more bearable. Good luck on the new direction of the blog. Looking forward to more Mileage Run opportunities. Costa Rica and a GoGo pass with socks and soeakers just a few of my favorite things. Winning swag will help my Haiku. Thanks again René! Keep blogging. Come Saturday morning it’s GoGo time! Oops fell asleep on the job it’s after noon now! Waiting for tires to be put on and glad it’s not the plane tires in need! Thanks for the great SWAG. Congrats on 6 years. I love GoGo and have never had a problem with them! Love this blog and the information! BTW, schedule changes are great, too, one can often score a longer route for more MQM at a better CPM. Great giveaway opp, Rene! Thanks! Congrats on your 6y anniversary! Fidget? I dunno about that one. But the rest of the swag looks great!! Grateful to René for another opportunity! And all his insight! Some enchanted evening I’m gonna win! I could use 25 gogo uses.. thanks Rene!! Booked for my first D1 to EZE in Dec. Don’t think this would have been possible without this blog. Good thing (?) I’m not on a flight right now trying to win a Gogo pass when I don’t have Gogo! Count me in. Looks like a fun pack for the whole family. May I be random enough for the randomizer. Great day for some swag. Is there a blog post about the best way to book award travel on partner airlines? All I want for the holidays is this swag. This is a great stocking stuffer…for me! Met you at FTU Chicago. You rock! Hey, a truly great swag! Well, if I enter once every half hour or so I’ll still be falling behind those who enter every two minutes but not worth calculated — luck is luck! And thanks are due, René. If I really need Gogo for a work trip, hopefully the employer will pay for it. It’s for the fun trips where a free pass is so much more useful! Dang got to win now. My wife wants the socks. I’m in. Pick me. Is today my day? Haven’t had a Saturday schedule change in a long time…. What a price pack you have to offer. What time is it? Gogo time ! Can’t wait for all this SWAG!!!! Swag would be soooo cool. Anyone else prepping early for Thursday’s Tday dinner with family? Fidget box like a spinner…never used either. Good day for a mileage run, anyone taking a nice one today? having fun reading some of your favourite posts, rene! i’ve never won anything… these would come in so handy as i’ve got a LOT of travel coming up! Have a couple runs planned in Jan, the pass would be nice to give global Gogo an try. OMG…the included speaker really looks cool! I’d be excited to win it all by itself! I promise not to sexually harass you if I win. Happy Thanksgiving! Appreciate all you do! Greatly appreciate it if we win but if not, you are awesome! I could attempt to sing for swag but that would not be recommended. Where to go go next…. Gogo swag Saturday could not be better…other than for me to win. thanks for the opportunity to win something… adding a bit of fun to a grey saturday here where i am! I think Gogo is pretty good. It’s especially cool to be connected at 35,000 feet over the Pacific. Love the blog and now the prizes too. You are very generous! And I can enter more than once? Way cool . . .
random.org do your thang !!! It’s swag Saturday and I get to visit the inlaws…what could be better? It would be a great day to wear gogo socks! Pretty cold and cloudy here in the Northeast. Guess it’s time to sit by the fire and type a comment every half hour! Thanks for the opportunity. May the swag be with us all. If you don’t swag the first time, just keep on swagging. I’m swaggong until I swag no more. What’s that you say, it’s Swaggerday! Swag to the left swag to the right. Love ya man! +1 on the Fidget but, hey…. what the heck! Rene and swag like peas and carrots? p.s. Happy Thanksgiving, Rene! And all of you!! I’d be very thankful to win. Great time at FTU Chicago! I’s love to win some Gogo swag! I sure hope to use gogo wifi many times next year! This is the one to pick! Thanks for this nice initiative! Enjoying a little Chicago Airport Jazz on the internet radio, entering another try for the Swag Saturday drawing, and looking for a few more good CPM weekend runs to buffer myself for 2019. It’s all good! How’m I EVER gonna win?? Thank you, Rene! I love that you have these give-aways! I’m gonna be burning up the bandwidth! Happy Thanksgiving back to you @Norris! Have never won & have two more trips scheduled in 2017! With a Euro flair – Grenobloise sauce. Mmm mmm mmmm! Thanks for the Great Info & Your Generosity to readers! Feeling LUCKY on this SWAG Day! Keep up the GREAT WORK!!! love the blog! sad to see it down to 3 days/week. Let it snow after I am done driving! No wait – there’s swag to be won! I want to win win win !!! 6.5 hours of swag posting left. Oh my, I haven’t commented in a couple of hours. Good luck everyone and thank you, René. What my bee will random.org pick? What my bee will random.org pick as a winner? Time to get my swag on. Getting my swagger on for some swag. We’re lost in a masquerade of teaser fares! I miss the number of upgrades I used to get. Really nice swag this week. Thanks Rene! Any one ever hear that DELTA stands for don’t expect luggage to arrive? Anyone fly the new A350 yet? can silly comments still win? Can winning comments be silly? Well, we’re up to 600 entries with 6 hours still to go. I know we’re all (myself included) playing by the same rules but unless there’s some tangible advantage (for Rene) in “bulking up” the number of comments, it seems like some criteria for having one’s post count would make this a more interesting contest. This is a great prize deserving of quality entries rather than simply quantity. Rene….how many miles does the average DL plane fly per year? I wonder what the oldest plane DL has is? Does anyone have good plane spotting tips for DTW? Or how to survive LAX T2? Kind of want to try one of the new transcon routes, but not via JFK. Any domestic lay flat from DTW? Is it just me ( I think not ) but should Atlanta’s airport be renamed Gate Change Likely! The Gogo pass would compliment my first PS run this Feb. Thanks for all the info on your blog, René! i kind of agree that the post-as-many-times-as-you-want thing is a bit odd and rewards people who have the time to stay on the computer with the most entries… perhaps making the selection LESS random? but rene can do what he wants and i’m gonna keep flirting on here with random.org, just in case. Getting close to 600 posts. Wow, a lot of comments since this morning! Have never won and would love this. Fingers crossed! do you read all this silliness? thanks again for the fun and generous offer! Everyone wants to win the gogo giveaway! Favorite plane for lie flat seats? j’aimerais bien gagner cette prix! you tweak their noses so often. Finally, do you have a single favorite aspect about DL? You do say a lot of nice things, too. Is AA ever going to release more milesavers? Third time is a charm, I hope! Delta tends to have a better hard product. Except on TATL. Wow…lot of posts…odds not looking good. Well except for Delta’s new suites. Those are amazing. Almost 4 hours till swag time. who likes knock knock jokes? Hello Rene, Good luck with your new schedule. there’s a bit of a delay but i’m guessing we’ll double this number by 10pm! i want more of those little houses! CPH is beautiful, with it’s teak floors. the main hall of JFK terminal 4 is kind of cool. anyone have comments on airports in asia or the middle east? i imagine dubai and singapore would be much nicer than anything in the west. And will GoGo get you there? Or a contest who can grab the best fares or miles redemptions for March Madness? Curious to see the new uniforms. Yeah, so what about those socks? I can’t see the advertising benefit of those unless you walk around shoeless in a business meeting! Hmm, twice in a row my comment didn’t get sent for moderation. There must be a filter somewhere sending it to spam (though it was a very non-spammy and I think, useful, observation. And even related to the topic!). Saw a comment a few hundred back saying DL should get some 787. Kind of agree. Rainy nights make me wanna fly south to the beaches. Can’t wait to claim the winnings! Your blog is a very satisfying read, Rene! You made me a winner at the Medallion game! Wondering how many swag posts I’ve made thus far. Always have use for a backpack. At this rate there will be over 1k posts. I would love to be a SWAG Saturday winner! But maybe our requests to GoGo would lead to something ? Well I guess that should be GoGo AND upgrades! Nooo they just added snow in morning to the forecast for BWI. Does anyone remember Corkys BBQ on flights from MEM? Snow changes consistency during an avalanche. The motion creates heat which melts some of it, creating ice out of snow. Think I’m falling behind on comments. Need to have something witty to say. Ho! But I’m cold enough as it is. If the socks don’t fit my feet, I may be able to turn them into mittens. Spring forward? I guess we just fell back so bah humbug. Look ma, it’s a swag giveaway. Seasons change and swag comes and goes. Internet speed is busted in North Georgia. Wish I could connect to gogo now. Have never won! Is tonight the night? LOVE TO FLY & WOULD LOVE TO WIN! I need this for travel….thanks for all you do! SWAG winner tonight…Lotto winner tomorrow? Start the cycle Rene! Tks!! The fires destroyed 2400 homes in Alberta. Which was massive but the Calif wine country lost 8000. Sad. Would LOVE to win the SWAG tonight! Flying to New Orleans & Portland in the next 3 weeks! Now I want pizza with lots of toppings! Sandy eggo will be 71 tomorrow nice!! Maybe Cantore will be stalking thundersnow soon! Would LOVE to defy the odds & win Rene’s SWAG! I’m believing “Never Say Never” tonight! You have to enter to WIN! Tks René for the amazing opportunity tonight!! Flights at 30,000 feet saw tornado debris in 1957. So sayeth The Weather Channel. I love to have GoGo on a flight! Rather see swag and use GoGo myself. Maybe I won’t do laundry tonight. 217 more minutes to enter! Oops new math. 187 minutes now 186. If at first you don’t suceed. Try, try again. Yada, yada, yada = Gogo winner, right? I’m goo goo for Gogo. I have been slacking off on posting. Who doesn’t LOVE TO WIN FREE STUFF? Out into the cold I go. It will wake me up faster than a Gogo connection. Favorite destinations: Aruba & St. Kitts! Rene…whats the most comments you have ever had? Long-time Follower/Reader…Tonight would make me a FIRST-TIME WINNER! Hmmmm, lets see. I’ll be poster number 852! Rene…whats the most comments you have ever had for one of these contests? Flew United last week! Their boarding system is, imo, a joke. Far too complicated, and when we boarded in Houston, the line stretches out a mile, and there are about 5 or 6 lines. People were coming up to me to ask which line to stand in. Not a very good system, and they could learn from Delta, which, while not perfect, is still (Medallion) miles ahead. Would LOVE to win the SWAG give-away tonight! Anyone hear that starting in 2019 even full Skyclub members will only be admitted if they have same-day flight on Delta or partners? IT’S ALL ABOUT THE SWAG! Please Pick Me!!! Hey Delta…Pay Close Attention to the HUGE NUMBER OF ENTRIES TONIGHT! Would love to win for my upcoming trips! Thanks for the giveaway, that’s great! Who couldn’t use some swag. Would LOVE to be wastin’ away in SWAGaritaville tonight! COME TO ME, GOGO SWAG!!!!! Just flew in from SEA and couldn’t pass up trying to win the SWAG! Thanks for the chance to win some swag. Yes, @Jim and @K, I think the idea is to see how many posts can be made in a day. I think today is headed toward record-breaking territory. I do agree, a limit of one would be fairer but I don’t think that’s the goal. Whatever works for René! Great to be in the hunt. Delta just “gets it”, as always. Wonder, though, what implications the Delta/Korean Air joint venture will have, if any. Count me in for the SWAG contest! That slogan was I’m gaga for Googoo. I’d rather have Gogo! In case anyone is following my story (or an excuse for another post): the 2 posts I made which I thought didn’t go through were, in fact, posted. What can I say?, fine with me. Who wants to win the SWAG? ME! Let’s CELEBRATE a SWAG win tonight! Anyone know how to get those socks retail? Wow, I’ve got to give David a nod for effort. A Rene’s Points SWAG WIN would be SUPER SWEET! THANKS for such an AWESOME SWAG GIVE-AWAY! THANK YOU FOR SUCH AN AWESOME GIVE-AWAY! Love Your SWAG Give-Away Tonight! From Vietnam! I need a Gogo pass coming home! Clint Eastwood asked, “Do You Feel Lucky”? My Answer: YES! So many posts to moderate. Not so easy to be nasty. Booked them on Delta after all, but they won’t have great seats of times; at this point in the game, it is catch as catch can for all to be on same planes this coming Wednesday. What a Tremendous Response to your SWAG give-away! Very Impressive!! Keeping you busy tonight, Rene? Delta seems to be doing better at CHA. Gotta LOVE Rene, Delta, Mariott and AmEx! I haven’t bought MQMs before. Thanks again, Rene. These are fun ! Jim F. is a funny guy, writing poems in the sky as he enjoys the free GOGO Wi-Fi. Hoping it is a rainy, WINNING night in Georgia! I’m starting to feel a little spamy trying to get the swagy. Certainly enjoy reading the posts people are making for a chance at the drawing.